I interviewed Laura back in May of 2010, you can read that interview here. 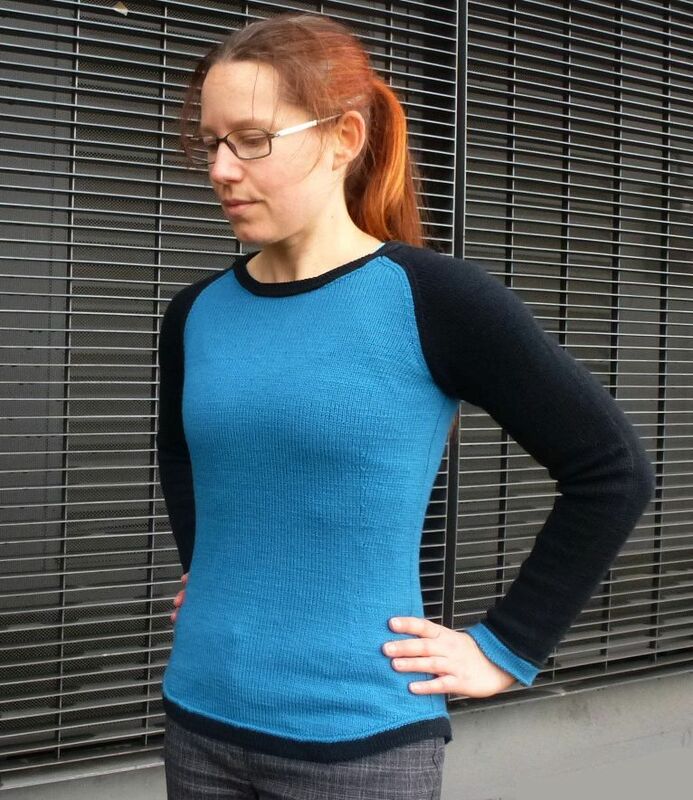 I also reviewed her previous book Luxe Knits here. 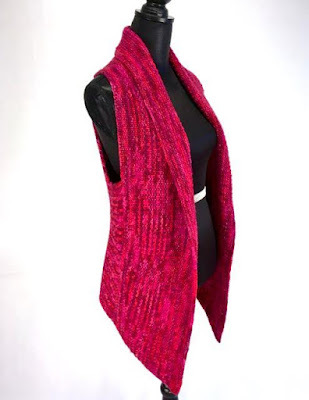 Laura's publisher just sent me a copy of her newest book Inspired Shawls to review as well. 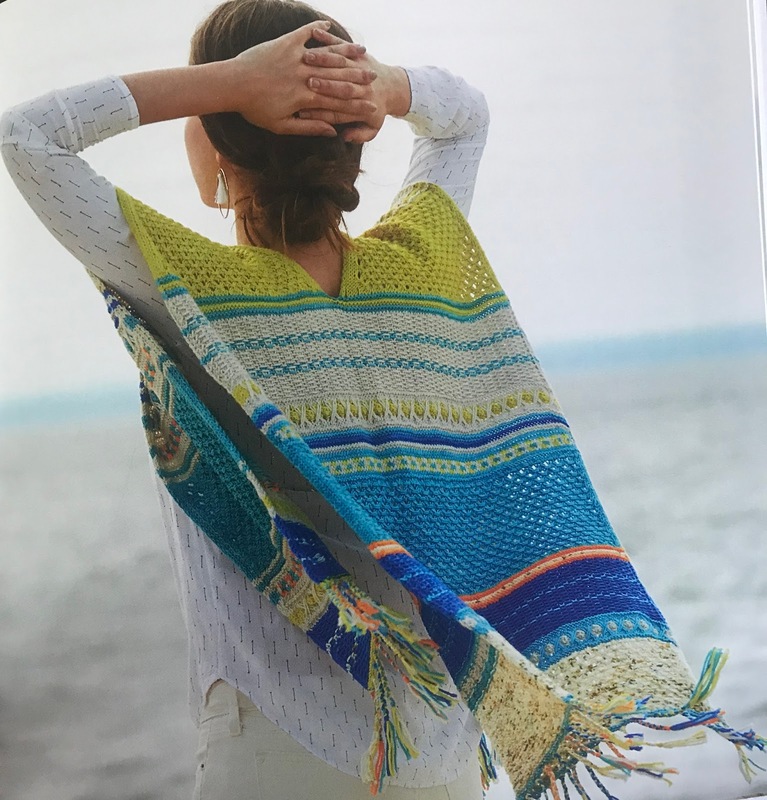 It's got patterns for 15 shawls, all of which were inspired by the handicraft traditions she observed during a trip to South American. All the shawls are beautifully photographed and all include a schematic which is something many accessory books often skip. I'm often annoyed by this especially if the photos and description are unclear as to the shape and construction method. The designs employ a wide variety of hand-dyed yarns, including Madelinetosh, Artyarns, Shalimar Yarns, Amano, Miss Babs, Malabrigo, Be Sweet, Hedgehog Fibers, Sweet Georgia Yarns, and The Plucky Knitter. There are a variety of shapes, triangles, half circles and a colourful ruana. The book has a lot of both texture and colourwork used in various ways. Many of the stitch patterns are both written out and charted, the book includes charts for the colourwork patterns, and there are detailed instructions on special techniques which include embroidery, and tassels. One thing which isn't included is skill level ratings. I don't like them as I feel they create more problems than they address. I have written in detail on this topic here if you would like to know more about this topic. Oddly the book has not been loaded into Ravelry which I mentioned to the publisher contact when I let them know the date this post would be going up. You can find Nell here and here on Ravelry. Inspiration is everywhere, for me, it usually pops up out of the blue, almost never when I’m searching for it. It’s come to me in dreams - I woke up once to an indecipherable sleep written note that might have been the most fabulous design - if I could ever remember what it meant. Cables are one of the most amazing and magical techniques to me. I’ve been devouring Norah Gaughan’s ‘Knitted Cable Source Book’ and Alice Starmore’s St. Brigid is something that I’ve admired forever. I especially love teaching cable work, students are so (rightly) thrilled with what they’ve learned to do. Of course! Nearly every facet of my life is touched by yarn and knitting. I work at my LYS, I teach knitting, many of my friends are knitters, also I go to fiber festivals and follow so many knitters on Instagram. I study other designers techniques, and read their blogs and books and am awed and inspired by so many great ideas. 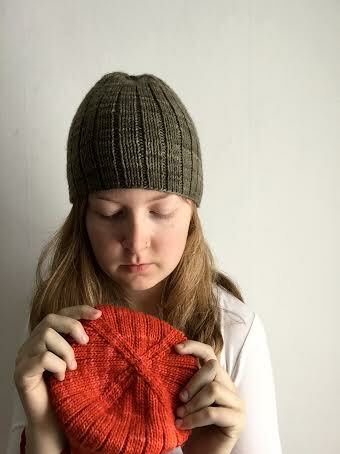 How many sample/test knitters do you have to work for you or do you do it all yourself? 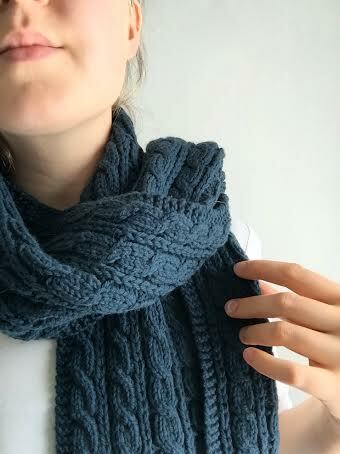 I do knit one of everything that I design myself, at least once. I love and appreciate test knitters, although I don’t use a specific number. Do you have a business model that you’ve emulated? I’m constantly working on this, the right way to do things. The goal of keeping my blog and newsletters going has been a challenge. I’m a very regular Instagrammer, I love sharing what I’m doing, seeing and discovering. I have and am currently looking for a new one. Knitting is a huge part of who I am and will always be. 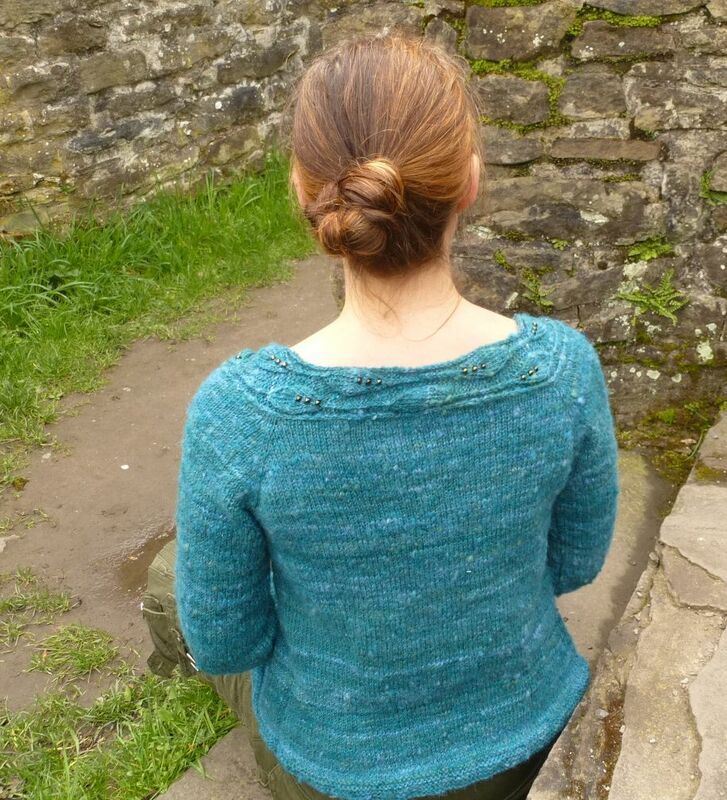 I do have several part-time jobs, not all knitting related, and it often feels as if I’m all over the place. It’s hard to step into another facet when I’m in the design or writing groove. That said, it is a wonderful life. I deal with criticism way better than I deal with snark. I have come to peace with the fact that you cannot write a pattern or create a design that works for every single knitter. And I do make mistakes. I listen, and consider (critical) viewpoints and try not to cry too much. I haven’t gotten there yet, and although it would be quite nice to have that security, I do this work because I love it and can’t imagine not! What advice would you give to someone who wants to pursue a career? Do it. Although the market may seem glutted with amazing designers, there is an audience for your product, technique, and voice. My goal is to teach and travel more. This series on Yarn Ply from 2016 continues to get a lot of traffic, mainly through google search. I'm going to rerun it over the next month for those of you who are new to my blog. Also a reminder, there is a topic index at the top of the page if you are looking for older posts. We've hit the point where my knowledge as a knitter isn't enough to fully explain some concepts. These definitions come from Knitty, you can read the full article here. "A basic crepe yarn is a 3-ply yarn made with a 2-ply and a singles. The 2-ply is spun Z in the singles and over plied S. The single is spun S with enough twist to make a regular balanced ply and plied Z with the original 2-ply. The yarn looks bubbly when it’s finished. The single traps the 2-ply which pushes out between the singles as it untwists and expands on its second ply. A basic cable yarn is two 2-ply yarns spun Z in the singles and over-plied S in the first ply then plied together Z to finish. The yarn looks pebbly, like a bridge cable. On the second ply, the two 2-ply yarns lock together and bloom." Once I started researching the meaning I got quite excited. 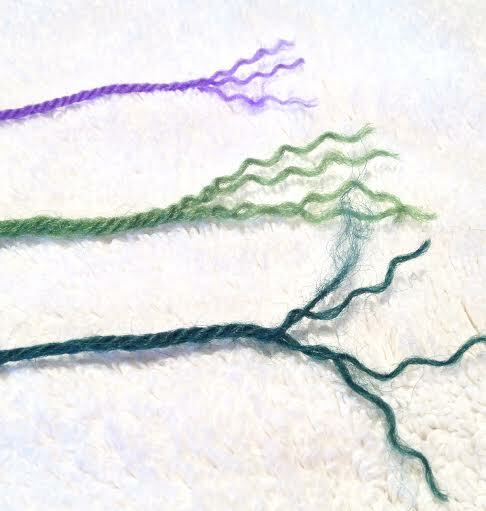 I as a knitter had always wondered about those multi-strand yarns where the knit stitch in stocking stitch has obvious differences between the right and left leg. The left legs are more vertically aligned in a column and the right legs form a steep angle. So what does this mean to us knitters? These are multi-stranded yarns which are then plied together again. The yarns are balanced and very strong. These yarns stand up to abrasion which occurs during wear. The yarn is less likely to pill. The fabric created is smooth with great stitch definition. The strand of yarn is very round when viewed in cross section. 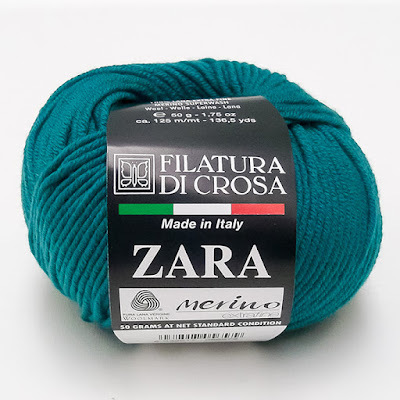 Many of these yarns are commercially made, often coming from Italian mills and they are frequently created from Merino wool. The Zara yarn pictured above is a well known example. The yarn is easy to knit with as it's less likely to split and it slides smoothly off of your needles. In the case of Zara it's a Superwash yarn which impacts it's nature as well. And back to the reason for that right/left leg difference. It's due to the nature of the spinning method and the fibre. The fibres are elastic and crimped, while the plying is done with the strands held in a steep angle away from one another rather than in a more parallel manner. I draw inspiration from the world around me, everything from the traditional fashion magazines and runway looks to floor tiles and park benches. I enjoy knitting lace or slipped stitches. Not only do I enjoy keeping something interesting on my needles, but I love the finished results. Texture is definitely a favorite of mine! While I do have my favorite designers and it's impossible to avoid other knit creations entirely, I do try to stay away from knit designers because I don't want to inadvertently copy someone else's designs. I love drawing from my followers, especially on Instagram, for test knitters. I don't have anyone that I regularly employ, but I try to have at least 3 test knitters for each project. I haven't used any sample knitters, but that will probably change this year. I don't have a formal business plan because I want my business to be able to grow and change as I do, but I do have a general plan that's open. This year I'm following the 12 Week Year so my business plan is even shorter than normal! I don't have a formal mentor, but I do have other designers and knitters that I admire and look to for guidance. I do use a tech editor. While I don't mind the math and grading for 7 sizes, it can be really easy to overlook something with all those numbers! In the mornings I meditate and journal with my coffee. It keeps me sane, helps me focus, and allows me not to get overwhelmed by my thoughts or even general anxiety with trying to do everything at once. I also plan things out in advance, and I break tasks down into tiny steps so that I can easily accomplish everything. Lastly, I keep track of everything that's been done so I can celebrate it. It's really easy to get lost in the moment of trying to do everything without realizing how much I've done in order to get to that point. Besides denial and general dismay? ;) I have to be in the right space to handle criticism so I make sure I'm in a good mood first. Then I carefully break it down. Sometimes the criticism is valid, and I incorporate changes into my work. Sometimes it's not valid and is merely a differing of opinion, in which case I dismiss it. To be able to support yourself, you need consistent products and fans to purchase the products. I wasn't producing patterns regularly until perhaps a year and a half ago, and so while I had fans and income prior to that, I wasn't able to live off of it because I wasn't treating it as a business, but rather a hobby that occasionally made money. If you want to have a successful career in knitting, treat it like a career. Whether you want to partner with companies or do everything solo, you have to know what your options are and put time and energy into it. Enjoying knitting and enjoying pattern writing aren't enough; it is a business. We're only in March, and this year is shaping up to be wonderful! Currently I'm working on quite a few patterns, some for self-publication, others for magazines, and still more for a yarn store in New Zealand. I'm co-hosting a weekly podcast on business in the fashion, accessory, and beauty industries at FAB Entrepreneurs, and I'm in talks for developing a new line of knitwear. You can find Mona here and here on Ravelry. In the landscapes and cityscape's of Europe! From the Scottish islands in the Atlantic to the Greek islands in the Aegean, and everywhere in between... I love travelling, both to discover new places and to return to my favourite ones. I love looking at fashion, especially in the big vibrant cities with diverse populations. All my designs are first and foremost items that I want to wear myself. I tend to have a rather stubborn style, often contrary to mainstream trends, and I picked up knitting and sewing primarily to make my own clothes just the way I want them to be. Last not least, I am often inspired by the gorgeous yarns from all the interesting small companies that have been developing here in the last 10 years or so. The European yarn market used to be dominated by boring mainstream companies, then came the expensive imports from North America, but now we have so many amazing "sheep to yarn" businesses which focus on ethical and sustainable production, preserving traditional sheep breeds etc. I love working with my own hand-spun wool, too. That is very hard to say, there are so many interesting things out there. In garments I like certain constructions and shaping techniques, for example top down set-in sleeves. Regarding textures I love playing with delicate Alpine cables, and for colourwork I have fallen in love with mosaic patterns. I tend to have these phases where I use a certain element again and again, for example since last year I have designed several sweaters which involved welts. Then after a while, when I feel I've explored every aspect of this element, I move on to something else. Recently I've discovered two-colour brioche stitch for myself (yes I know, I'm late to the bandwagon), so it just goes on and on. I suppose we all notice other people's work all the time, whether consciously or subconsciously. But I don't often browse patterns on Ravelry, simply because I have several notebooks full of my own design ideas and would need five lifetimes to knit them all. 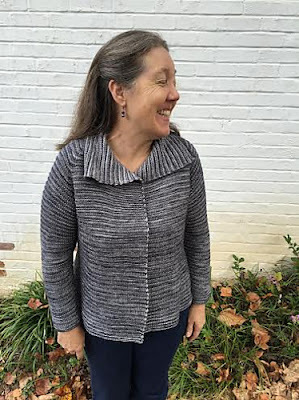 What keeps me "in the loop" a bit is my local knitting community where I see other people knitting from all kinds of patterns and notice certain trends. Like I said above, all my patterns are based on something I've knit for myself to wear. I design while I knit, and only after the original item is finished I sit down to calculate and write the pattern. I run test knits in my Ravelry group and have a core group of returning test knitters but also lots of new participants all the time. Their input is very valuable to me. No. I like to say that I became a designer by accident. I've been teaching classes on garment construction and fit for longer than I've been publishing patterns. People were always asking me about my designs and that was what got me started to actually try and write patterns for them. No. I am in contact with several other designers from all over Europe and love exchanging experiences and opinions. Designing/pattern publishing is not my full time job. 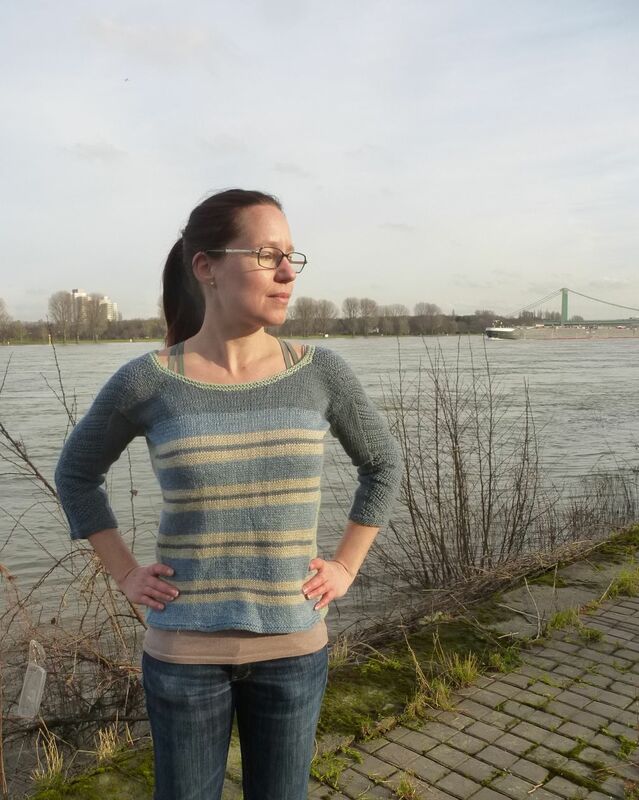 I am self-employed as a language teacher, which provides the bulk of my income, then I also teach knitting classes, which has been undergoing an interesting development here in Germany in the last few years. It used to be something that housewives did for pocket money and was seriously undervalued. Now there are lots of fibre festivals with high quality classes, some events make a point of inviting international "big name" designers, and that has pushed others to focus on supporting the local professionals and helping them find a more appreciative audience. For example a friend of mine organizes lovely creative retreats in beautiful places all over the country, both with local and international teachers. I love being a part of all this, and progressing as a teacher and as a designer/pattern publisher has been a very organic process for me. I do, and actually more than one. For me this is a multi-step process: The math comes first, i.e. grading the pattern for the range of sizes. I have that checked by a second pair of eyes, and then I write out the pattern, usually in English first. I translate almost all my patterns into German, too, and depending on my time frame I run a test knit for one or both language versions. I also have both versions proofread by several people. I am lucky in that I can make my own schedule most of the time, but of course being fully self-employed comes with an inevitable level of uncertainty. Living in Germany means I have compulsory health insurance and retirement funds to pay into, and that often means I have to prioritize my teaching jobs over pattern writing. Ideally I can use periods when I have fewer students to focus more on designing, but it doesn't always work that way. I am getting better at it, though! What I've found to be really important is having enough "me-time" for exercising: I'm an avid swimmer, less avid runner and do a daily body-weight/Pilates/yoga routine. When I'm super busy or stressed it is tempting to skip these things, but I've learned that both my body and my mind profit so much from keeping my fitness level up. I also love travelling, I often feel homesick for the Hebrides when I haven't been there for a while, and there are so many new places still on my list! Traveling always recharges my batteries for my everyday life. I have been working in adult education for 20 years now, and in my opinion it is always good to listen to people, never stop listening, but also to be confident about one's own skills, experience and intuition. Another thing I've had to learn is that it is usually more relevant what people say to you in person than what they say about you online. The internet has made it easy to whine, complain and gossip, and that is rarely productive in any way. Like I said above, designing is just one of several income streams for me. 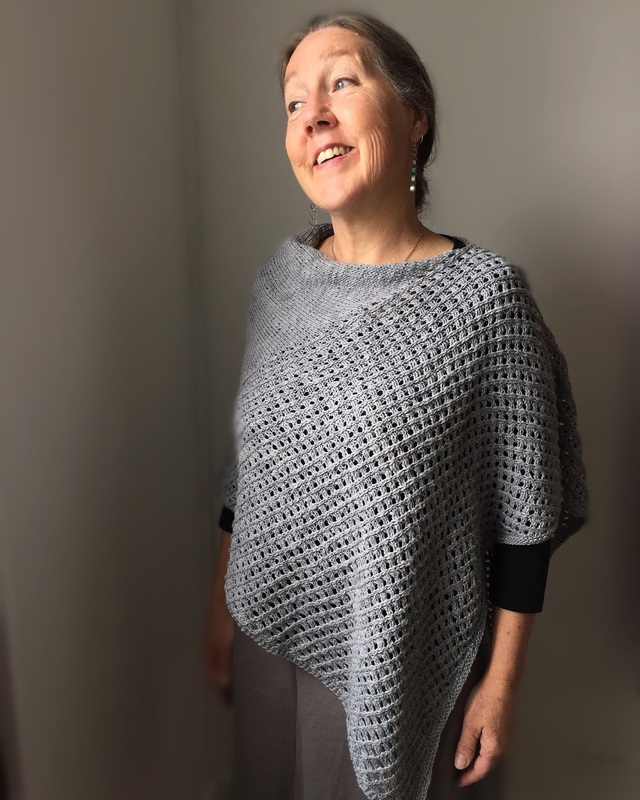 That said, I had surprisingly satisfying results when I started to publish my first professional patterns, but at that point I had already been teaching knitting classes for several years, so a part of my potential customer base was already there. We should be honest in acknowledging that very few people around the world can support themselves as full time designers/pattern writers. And most of the people who have reached some level of success started out as hobbyists and with the economic backing of a spouse or partner. There is no shame in that. If you have urgent bills to pay, becoming a knitting designer is not the most efficient solution. So what I would recommend is to find a way to have enough free time and mental energy for designing, knitting, writing and promoting your patterns without the immediate pressure to be economically successful. Don't design what you think other people might want to buy. Design what you're convinced of, what speaks your voice, and put your effort into writing high quality patterns. So many things! I have a backlog of half a dozen patterns and lots of new ideas. I am also in the process of writing a book about garment construction because that is something we are seriously lacking in the German knitting world. At the moment my calendar is filling up with fibre festivals and similar events throughout the summer and autumn. Two Ply yarns are very different from singles even though they are made up of two singles. Essentially they are created by aligning two singles and allowing them to release their twist against one another. They are often referred to as being in balance with one another. This balance avoids the bias problem which can occur with singles. 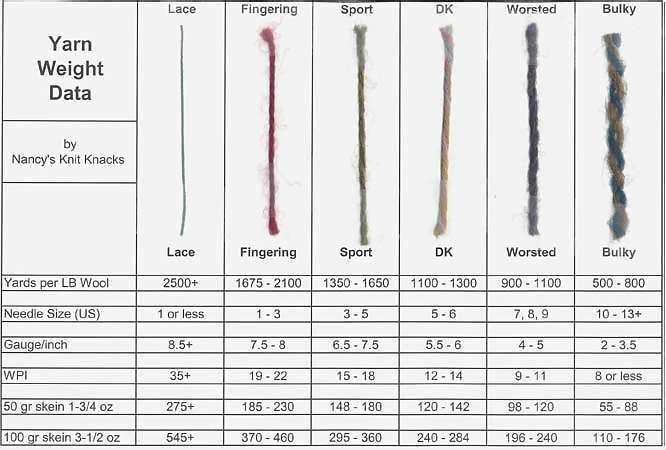 Plying controls the twist and evens out the visible inconsistencies in strand thickness, since the differences are averaged out over the finished yarn. Most singles are spun with Z-twist, by turning the fibre clockwise. When plying, the yarn strands are turned counterclockwise, so the finished yarn has what's called an S-twist. This can also be done in reverse. The amount of twist at each stage can be very different depending on the source fibre and on the result the yarn creator is looking for. No matter what variations are used, the yarn becomes noticeably stronger. For that reason, smoother, weaker than wool fibres benefit from being plied to add strength. I don't have an example of a 2-ply project any more but it's generally considered to be an excellent yarn for lace work, as the shape and opposing twist of the strand holds the fabric open. In heavier weights it has a textured, pebbly, more rustic appearance. You will see what appears to be slightly uneven gauge even with yarns which have a halo, but it is due to the nature of the yarn not the knitter. It's difficult for the average knitter to just look at a plied yarn and know what version it is. Take the cut end and untwist to separate the plies. If you have any spinners in your knitting circle they can be great sources to aid you in understanding the spinning process and can help you to expand your yarn vocabulary. If you want more understanding of how spinning and yarn structures work, check out this Craftsy blog post. This series on Yarn Ply from 2016 continues to get a lot of traffic, mainly through google search. I'm going to rerun it over the next month for those of you who are new to my blog. This post includes some updates as the single ply yarn I mentioned now has its pattern published. Also a reminder, there is a topic index at the top of the page if you are looking for older posts. First for clarity, a definition from knitting about.com. 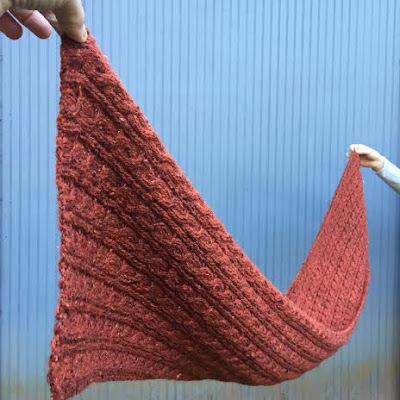 "Yarn purchased from yarn stores or from individual yarn makers comes in a lot of different styles and configurations, but there are some basics that usually hold true, including the fact that yarn is typically made up of plies, or should I say at least one "ply." Plies are the individual strands of yarn that are worked together to form a plied yarn. A single strand being sold or worked with on it's own isn't usually called a ply, though, it's known as a single, because calling it a one-ply yarn doesn't make much sense. Multiple plies can be used to create a knitting yarn, and while some countries use the number of plies as a shorthand for the thickness of the yarn (a two-ply would be thinner than an eight-ply, for instance), in most cases the number of plies has nothing to do with the thickness of the finished yarn. You can have a very bulky two-ply yarn or an extremely thin four-ply yarn depending on how the individual singles were produced.To ply yarn, individual singles are spun together with the twist worked in the opposite direction from how the singles were spun. This gives the yarn much more strength, durability and consistency than is seen in a singles yarn." 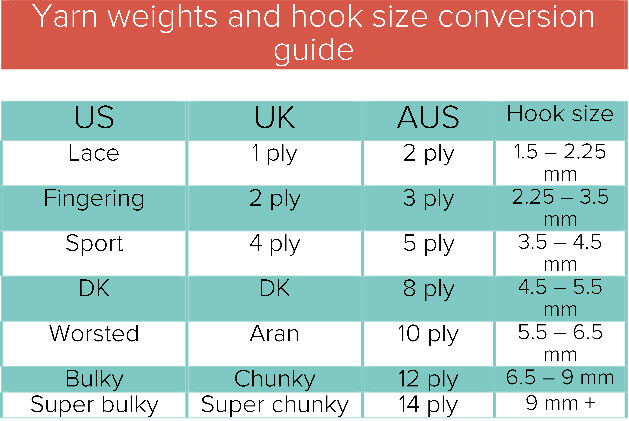 To further confuse yarn novices we refer to the thickness of yarn as weight and we refer to the weight of the yarn put up. A "put up" is the way in which the yarn is presented for sale, usually skeins or balls. 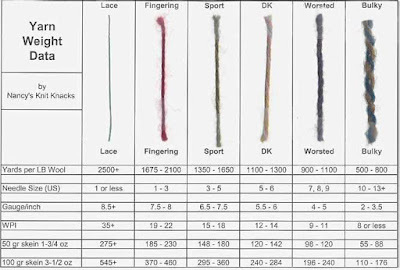 The ply system of yarn weight (thickness) was typically used in the U.K., Australia and New Zealand. Again,to confuse things even further there were inconsistencies between countries. 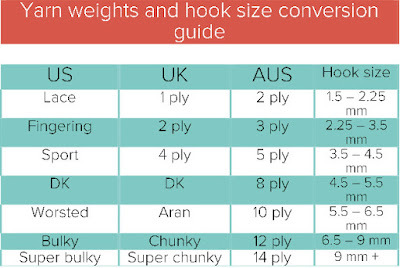 I've seen charts like this one from LoveKnitting.com. Here in Canada we are dominated by the U.S. export market, so in the past we often saw labels using one system or the other depending on where the yarn was sourced. Interestingly the U.S. Craft Council has also struggled with a naming system for weights. They started with a 1-5 numbering system which has grown to 0-7. Machine knitters also use a different system based on yardage per pound. This one comes from the use of yarn on cones. I'm currently working on a design for release this fall which uses a single ply yarn of 100% wool. Of course, that got me thinking about the design challenges of working with a single. Yarn is created by taking fibre and twisting it into a continuous thread. Singles can, depending on the length of the source fibre, have problems holding together when knit. Some fibres have short lengths and need more twists per inch to hold them together. Fibres with longer lengths require less twist. 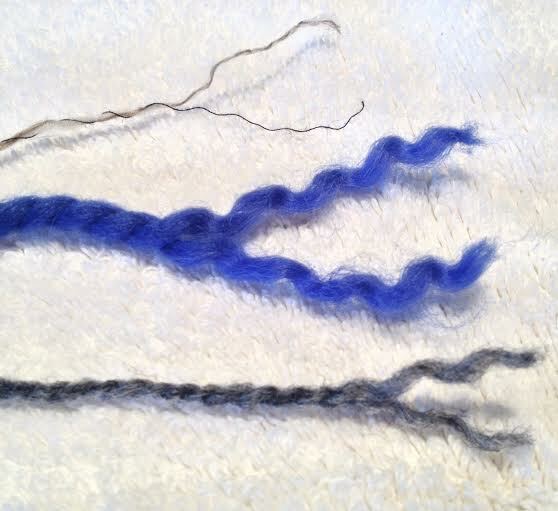 More twist leads to biasing when used in simple stocking stitch.You can test this out with a large swatch. The easy fix is to use a textured stitch which incorporates both knit and purl stitches. Singles also tend to be less consistent because plying can smooth out some of the imperfections which are more easily seen in singles. When knitting with them you'll come across thicker and thinner sections. If the thin spots are of concern you can break the yarn, overlap and rejoin by splicing with moisture and friction by rubbing them together briskly while held between your palms. These yarns can appear soft and puffy. The lack of structure, can result in a yarn which has problems with pilling or shedding. 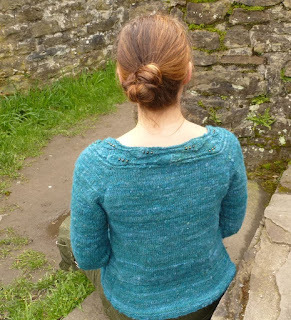 Before knitting, single-ply yarns appear to have a smooth surface.The best description I've come across is to think about the difference between a ponytail (single) and a braid of hair (plied yarn). 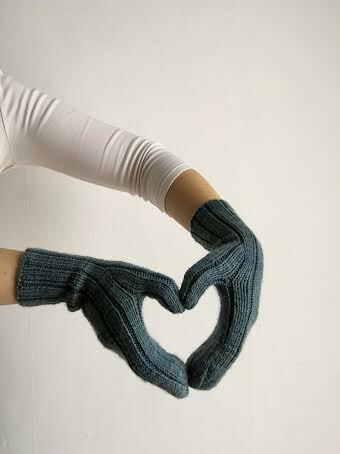 When knit up, singles tend to produce a cohesive, solid fabric which is now much stronger in nature. Visually these yarns create stitches which are very smooth in nature. The roundness of the strand avoids the shadows which are created by multiple plies. This is especially apparent in stocking stitch. This is the one I'm using it's Malabrigo worsted merino. The pattern I created from this yarn is The Carington Vest. Since there's very little twist to hold the fibers of a single together avoid tugging too hard on the yarn. Tight knitters or those who put a lot of tension on the yarn may find them harder to work with for this reason. Smoother needles will also help in avoiding snagging the yarn. Some knitters will get better results with a smaller needle size for added structure to avoid pilling. They do lack some of the strength and durability of plied yarns. Due to less twist to hold the fibers together, singles can separate and grow thin in garment areas that suffer from friction. Garments knit from the heavier weight singles tend to feel dense and are often very warm, making for great outdoor sweaters. 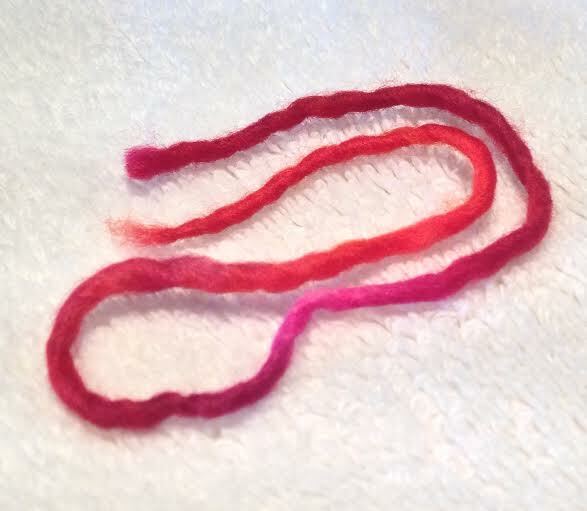 A common example of a single ply yarn is lopi. 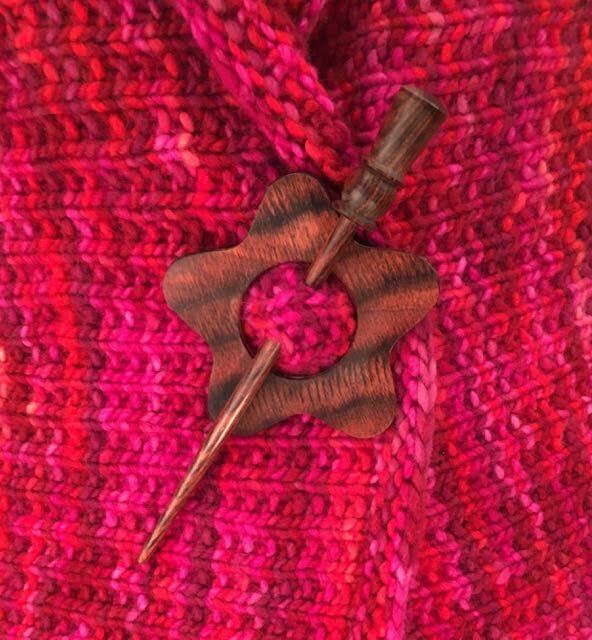 Modern knitters will find many yarn weights now available in singles. You can check out my Ravelry search here, it includes yarns categorized from lace to super bulky.